MadTech Records was founded in 2012 as an offshoot imprint to Madhouse Records, the long-running record label launched by Kerri Chandler in 1992. 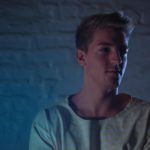 Now MadTech is a few years old and having been musically guided by Kerri himself has gone on to form a well-respected reputation with a coterie of emerging talents on the roster. To date the imprint has released material from many driving forces in the world of contemporary electronic music, such as rising stars No Artificial Colours, Waze & Odyssey, Josh Butler, Kry Wolf and Waifs & Strays. While retaining a watchful eye on young and evolving artists ready to elevate their career’s to the next level, recent signing’s Celsius, Cera Alba, Kalyde, Ben Mono, Simba and Artifact stand as testament to this. 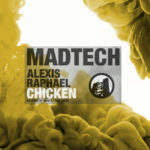 With such a striking roster in place and heavy hitting releases across the catalogue it’s no surprise that MadTech has transpired to be a go to label for so many in such a short space of time. Amongst the impressive material being released via MadTech there’s also the MTDL series, a selection of free downloads curated by the label and being offered up to the public via the imprint’s Soundcloud page.